Gallimard Education. Used - Acceptable. Ships from the UK. Shows definite wear, and perhaps considerable marking on inside. 100% Money Back Guarantee. Your purchase also supports literacy charities. Gallimard Education. Used - Good. Ships from the UK. Former Library book. Shows some signs of wear, and may have some markings on the inside. 100% Money Back Guarantee. Your purchase also supports literacy charities. France: Gallimard Education. 1979 Paperback edition, text is in French . Very Good. Soft cover. 1979. Gallimard Education, 1979-06-01. GALLIMARD. Mass Market Paperback. Good. 1979-06-01. Good. Ships with Tracking Number! INTERNATIONAL WORLDWIDE Shipping available. May not contain Access Codes or Supplements. May be ex-library. Shipping & Handling by region. Buy with confidence, excellent customer service! Weighing 1 lb. 9 oz. 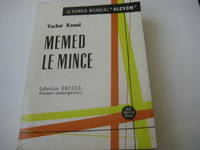 , this book has 798 nice pages and is in very bgood condition. Weighing 1 lb. 5 oz. , this book has 616 pages. Inscribed by previous owner inside front cover. Weighing 6 ounces , this book has 104 pages plus ads and is in near fine condition.